The Bureau of Labor Statistics (BLS) predicts that employment in health care occupations will jump 18% from 2016 to 2026, but if you don’t have the time – or money – to invest in more education, non-clinical healthcare jobs can be a way to enter this booming field. Jobs requiring only a high school diploma, for example, include administrative assistants, medical billers and home health aides. Another attraction to such jobs is the pay, which BLS reports can top $30,000 per year, depending on the position, experience and skills. 1. Receptionist: This job requires you to greet visitors, route calls and accomplish other clerical tasks. It also calls for being detail-oriented, staying organized and being able to multi-task. Computer skills are required, such as being able to use Microsoft Office suite. 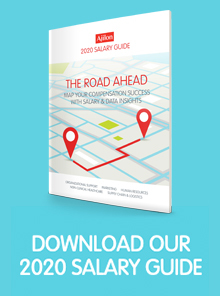 Glassdoor reports the average base pay for such a position to be $28,729. 2. Administrative assistant: These duties require the person to be organized and able to manage time well, in addition to some familiarity with computer software such as Microsoft Office, including Excel. A typical day for a medical administrative assistant is described as “significantly less stressful than other clinical health care professionals yet provides a way to be part of a team dedicated to helping and healing others.” Such positions also require dealing with visitors, scheduling appointments and helping with medical billing or insurance. Glassdoor lists an average base pay salary for medical administrative assistants at $41,045 per year. 3. Medical assistant. Performing basic lab tests, explaining treatment procedures, taking a patient’s vital signs and having excellent communication skills are key to this job that does not require a college degree. BLS reports some enter the occupation with postsecondary education such as a certificate, while others have a high school diploma and get on-the-job training. In 2016, the median annual wage was $31,540 and jobs are expected to grow 29% through 2026. As physicians become busier with the aging population, they will hire more medical assistants to do routine administrative and clinical duties, BLS reports. 4. Medical biller: Patient invoicing, resolving claims and dealing with private and public insurers is key to this job, as well as understanding the appeals process for claims. Such jobs also require an understanding of medical coding, and can appeal to detail-oriented people who want to work in health care “without the patient contact that most health care positions require.” BLS reports that the average pay for medical records technicians for 2016 was $38,040, and does require a postsecondary nondegree award. Such positions are expected to grow: BLS reports the job outlook from 2016 to 2026 will grow 13%, which is faster than average. 5. Home health aide: Ranked by U.S. News as the No. 10 best health care support job, this occupation has a median salary of $22,600. “These workers spend so much time with their patients that, in many instances, they become like family members,” U.S. News reports. This job, expected to grow 41% from 2016 to 2026, only requires a high-school diploma. As the “baby-boom population ages and the elderly population grows, the demand for the services of home health aides and personal care aides will continue to increase,” BLS reports. Finally, even though these are non-clinical positions, job ads often stipulate that those taking on such positions must comply with the Health Insurance Portability and Accountability Act (HIPAA). The law “provides data security and security provisions for safeguarding medical information,” a key provision as cyberattacks and ransomware target health care providers and insurance companies.